A species of monstrous animals suddenly and swiftly sweeps across the planet, devouring any humans in their path. Highly sensitive to sound, they home in on the noise humans make by moving and especially speaking. Months later a family quietly tread their way across America trying to find a suitable place to settle in silence. As their daughter Regan (Millicent Simmonds) is deaf, they communicate through sign language and potentially lethal whispers. Later, Mom Evelyn (Emily Blunt) becomes pregnant, Father Lee (John Krasinski) helps his son Marcus (Noah Jupe) to become more self reliant and protective and Regan struggles with feeling she isn’t loved. But, does she hold the key to beating the creatures that threaten their idyllic and peaceful new farm home? As anyone who knows me or my reviews knows, I love silent cinema. So, obviously, my ears pricked up when I heard (excuse the pun) about A Quiet Place, a horror movie largely shorn of dialogue and human vocalisation. It stars Emily Blunt, a movie actress who always gives an attention grabbing performance. From a modern-day actor’s point of view, more reliant on using their voice than their face and body, the script to this very short (90 mins) film could be seen as a double-edged blessing in disguise: easy to learn the lines but gruelling to express frustration, stress and anger with only your expressions and body language to fall back on. Monsters with scalps that open up, resembling blood oranges with earholes, seen in all their mucus-dripping glory. 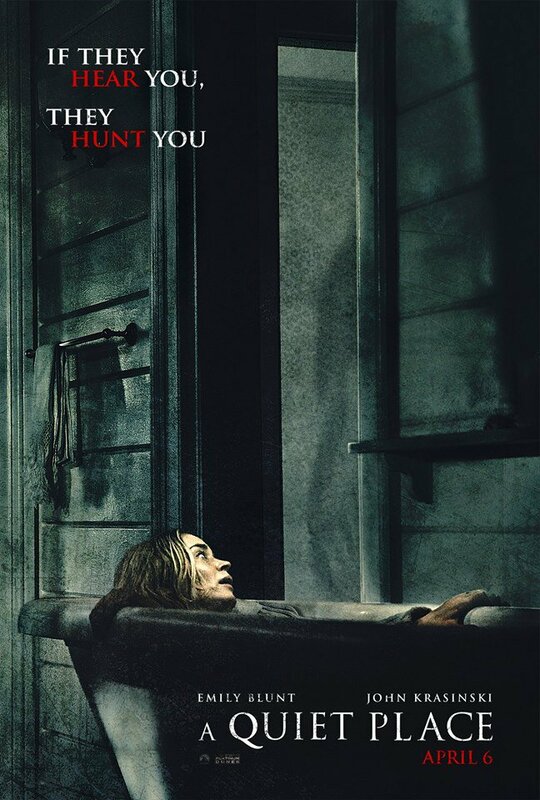 Hoping the approaching monster won’t throw the baby out with the bath water, Evelyn (Emily Blunt) finds A Quiet Place to give birth. Blunt’s real-life hubby Krasinki (US TV’s The Office) is the veritable one-man band behind A Quiet Place and makes a damn good fist of each of his myriad roles, especially as director. This isn’t the easiest set-up for a film, as leaving a movie without dialogue for most of its first third is a risky move. It requires of its audience a certain degree of patience and tolerance as they settle themselves for a relative hard-slog. Concentration is required as they concentrate on the actors faces closely, listen attentively for those few hushed words and, most of all for some mainstream multiplex audiences, reading subtitles usually reserved for foreign language movies. I don’t mean to belittle anyone on that last point as I don’t think most cinema patrons are stupid or incapable of keeping quiet, and all types of film lovers go to the multiplex, but I have overheard people over my years at various cinemas saying they find subtitles tiring to sit through. For the screening I attended, a broad spectrum of people were relatively patient and, indeed, in their own quiet places. Krasinski can certainly tighten up the scare screws to their uttermost, with enough shock-moments and seat-squirm inducing set pieces to keep audiences thrillingly terrified. But he also pays due care and attention to the finer points in his script that build up the detail about how a family living under such fantastical circumstances makes do and copes. The children dash around on tip-toes during the opening scene at a shop (almost literally walking on egg shells), Monopoly is played with woollen board pieces, dinner is served with leaves replacing plates and human fingers doubling for cutlery. In these scenes, as they eke out the most challenging of existences, we are also asked to ponder if this is a life worth living? Is there joy in the world without voice, one devoid of music (except through the auditorily joyless confines of an iPod’s earphones), one where you can’t scream, screech or shriek even when in the most exquisite pain? One where you can’t shout at the kids when they seriously piss you off? Do we even need sound, except when hearing it warns of grave danger? It also poses a neat, alternate reality: a world in which the deaf and those close to them have inherited the earth, a sublime twist on disability equality. The family in this film (and us) are acutely aware of the benefits afforded to those who already live in a silent world. 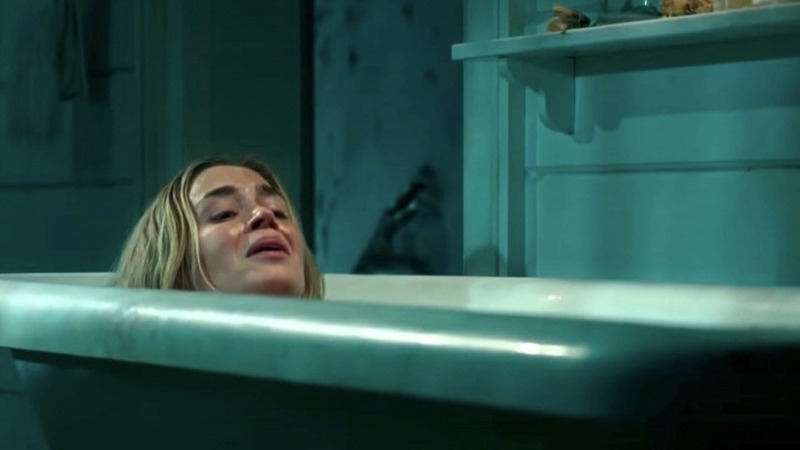 If A Quiet Place‘s slightly preposterous storyline doesn’t grab you (would someone really want to give birth knowing there is little access to pain relief? How did the family grab a bottle of oxygen and mask? And Blunt’s labour lasting only 15 minutes is too convenient! 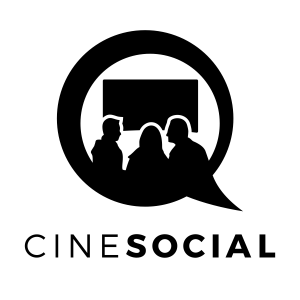 ), see the world from a deaf person’s perspective for a little while and otherwise enjoy Krasinski’s skill in helping you fill your terrified underwear in a mightily messy manner. For more including the trailer, see the official website. Producers: Michael Bay, Andrew Form, Bradley Fuller. Writers: Bryan Woods, Scott Beck, John Krasinski. Emily Blunt, John Krasinski, Noah Jupe, Millicent Simmonds, Leon Russom, Cade Woodward, Doris McCarthy. Beast (2017). Film review of the adult fairytale twist on Beauty and the Beast.